On behalf of our New Jersey members, I am writing to ask you to withdraw A3825 relating to animal shelters. The bill would allow shelter directors to kill animals with no holding period of any kind if they believe the animal “is inappropriate for adoption as determined by the owner or operator of the shelter, pound or kennel operating as a shelter or pound, because of the animal’s medical, physical, or other condition, or aggressive or dangerous behavior.” The term “other condition” is not defined and there are no enforceable standards, giving shelters unfettered discretion to kill animals. An Irremediably Suffering animal is any animal with a medical condition who has a poor or grave prognosis for being able to live without severe, unremitting pain, as determined by a veterinarian licensed to practice in this state. As currently written, the bill causes more harm than it solves. Shelters will be allowed to immediately kill animals based on the animals’ perceived state of mind (a claim for example that animals are in “psychological pain”), giving regressive shelter bureaucrats unlimited discretion to immediately kill animals based on unenforceable, unknowable, and completely subjective criteria. Not only is this a real and immediate threat to shy and scared animals, as well as feral cats, but it is a very dangerous precedent to introduce in the animal control laws of our nation. Shelters will be allowed to kill animals if a director says a dog lunged or a cat is too old or is blind, deaf or missing limbs. Shelters will be allowed to kill animals for virtually any reason. 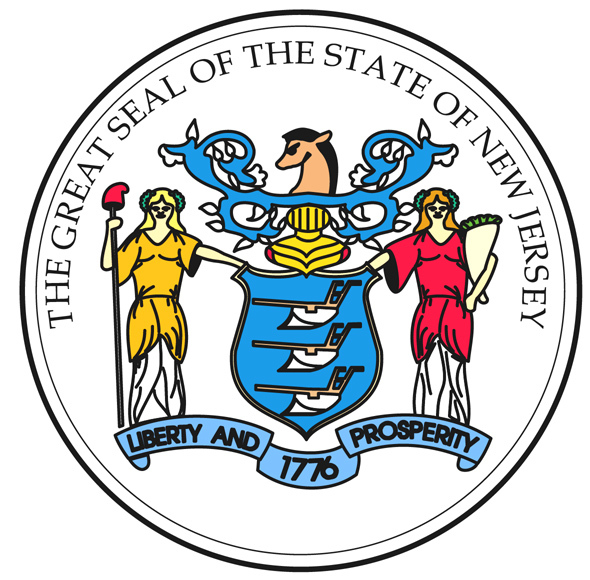 New Jersey Governor Chris Christie’s vetoed similar legislation in 2011. That an animal may lack objective beauty, or be older in years, does not mean that that animal isn’t deeply loved by his or her family; it does not mean someone else might not deeply love that animal if they were offered for adoption; and, it certainly does not mean that the animal isn’t worthy of compassion and lifesaving. Killing for convenience is never compassionate. In fact, it is the ultimate form of violence, a violation of the animal’s most basic rights. In his veto message, Governor Christie stated that the provision “creates the potential that older or mildly injured animals could be [killed] immediately and before even a diligent search by an owner could locate a lost pet.” He is absolutely right. The current legislation is even more permissive and would undo what little protection animals currently have in shelters. In fact, excluding laws imposed by health departments regarding the use of controlled substances, the disposition of rabid and potentially aggressive animals and mandated holding periods, shelter directors in this country have essentially unlimited discretion as to how they operate their facilities. If a shelter director decides to kill each and every animal even if there are empty cages, it is legal for him to do so. In fact, many shelters routinely keep banks of cages intentionally empty so that their staff does not have to clean those cages or feed the animals inside them. If a non-profit rescue organization wants to save an animal on death row at a shelter, the shelter director has the authority in every state but two to deny the group the ability to do so, and they frequently do. Likewise, shelter directors can kill orphaned kittens and puppies rather than work with volunteers who want to provide foster care. They can ban volunteers from walking dogs and socializing cats. And they can limit the number of hours they are open to the public for adoptions, or have hours that make it difficult for working people to reclaim their lost animals or adopt new ones. In short, there are no checks and balances to ensure that our shelters are run in line with the most up-to-date sheltering policies and procedures. Instead, our shelters are run on the honor system, and it is a discretion shelter directors abuse time and again by failing to implement readily available lifesaving alternatives or to work cooperatively with those who want to help them save lives. We need more regulations, not less. And to suggest that we give directors virtually unfettered discretion to eliminate what few protections those animals have—holding periods—which is often the only thing standing between life and death, is beyond the bounds of reason. John Burzichelli, the author of A3825, is an animal lover. He has a number of cats. I am certain that he is not trying to harm animals. I believe that the problem lies in the wording, not in the intent. Unfortunately, he is listening to the wrong people. You are not alone. As animal lovers seek to pass progressive shelter reform legislation in communities and states throughout the country, time and again their fiercest opponents are organizations with names that allow them to masquerade as something they are not. In 2011, for example, shelter reform legislation in Texas was defeated by a coalition which included a group calling itself the Texas Humane Legislation Network. As animal advocates and everyday animal lovers rejoiced at the introduction of a bill which would have banned the gas chamber, ended convenience killing and mandated collaboration—flooding the Texas State House with thousands of calls and letters of support—THLN released a statement of opposition and worked with the Humane Society of the United States to successfully defeat it. Those who embrace a brighter future, those who seek to finally bring some accountability to a field that has lacked it, have found they must work to overcome the false perceptions the public, legislators and the media have regarding these individuals and the groups with which they are associated, simply because they have the names “humane” or “animal control” in their titles. People believe these organizations speak for the animals, even though they protect incompetence and fight innovation of any kind. They believe the organizations are run by “experts,” despite the fact that they have no actual experience creating No Kill communities or reforming those plagued with regressive, high-kill shelters. And in the end, these individuals, with views so out of touch with the majority of people, succeed in defeating legislation that would mandate reasonable, common sense provisions that almost every American would be stunned to learn have not already been voluntarily implemented. Instead of listening to these organizations, we recommend focusing legislative efforts on models of lifesaving success. In 1998, for example, California passed a law making it illegal for public (and private) shelters to kill animals when qualified rescue groups were willing to save them. It passed by an overwhelming bipartisan majority—96 to 12, as close as possible to unanimity in a state as large as California. In 2010, a similar law passed both houses of the Delaware legislature unanimously. In both of these states, it made no sense to legislators of either party that taxpayers were paying to kill animals when qualified non-profit rescue groups were willing to spend their own money (private, philanthropic dollars) to save them. In just one California County, the number of animals saved, rather than killed, went from zero (before the law was enacted and enforced) to 4,000 per year. At roughly $40.00 per animal killed, the municipality saved $160,000 in expenses associated with killing. A similar study in the City and County of San Francisco found the City realized an annualized cost savings of $486,480 by working with rescue groups and No Kill shelters, rather than killing the animals these groups wanted to save. In fact, the number of animals saved, rather than killed, by forcing shelters to work cooperatively with rescue groups increased in California from 12,526 before the law went into effect to 58,939 in 2010—a lifesaving increase of over 370%, and a potential cost savings of $1,856,520 statewide for killing and the expense of destroying the remains of dead animals (these savings do not include additional savings relative to cost of care). In addition, because the law specifically allows shelters to charge these organizations up to the standard adoption fee, partnering with rescue groups potentially brings in millions of dollars in additional revenues. In New York and Florida, by contrast, statewide surveys found that 71% and 63% of non-profit rescue organizations respectively have been turned away from shelters, which then killed the very animals they offered to save. This is not only unethical—killing animals when those animals have an immediate place to go—it is economically irresponsible. Not only can these shelters save on the cost of killing and disposal, they can bring in badly needed revenues to lower public expenditures on animal control or use the additional revenue to enhance services—also realizing the intangible benefit of improving public satisfaction with the job government is doing. In short, adoption programs resulting in increased lifesaving also increase revenues; while continued killing costs money. In addition to making it illegal for shelters to kill animals if rescue groups were willing to save them, California bifurcated the holding period in order to force California pounds to make animals available for adoption or transfer to rescue groups. Rather than simply hold animals for six days and then kill then, California required shelters to make those animals available to rescue and adopters during the hold period. The new holding period read, in relevant part, that animals “shall be held for owner redemption during the first three days of the holding period, not including the day of impoundment, and shall be available for owner redemption or adoption for the remainder of the holding period.” In other words, after three days, the animal could go to rescue groups or be adopted, but not killed. Holding periods are important. They allow people the opportunity to reclaim their missing animals. As noted above, that an animal may lack objective beauty, or be older in years does not mean someone else might not deeply love that animal. We should not shorten holding periods ever. In fact, in states like Hawaii (at a paltry 48 hours), they need to be longer. They also need to be smarter. California’s bifurcated holding period which mandated that animals not just be held so that their families could reclaim them, but also that they be made available for adoption and to rescue groups meant animals normally killed without those opportunities now had them, even if only minimally. The required holding period for an owner relinquished animal impounded by public or private sheltering agencies shall be the same as that for stray animals and applies to all owner relinquished animals, except as follows: (1) Any owner-relinquished animal that is impounded shall be held for adoption or for transfer to a private sheltering agency or rescue group for the purpose of adoption for the entirety of the holding period; (2) Owner-relinquished animals may be adopted into new homes or transferred to a private sheltering agency or rescue group for the purpose of adoption at any time after impoundment. A bifurcated holding period would require pounds to make all animals—both stray and “owner relinquished”—available for adoption and transfer to a rescue group. The bifurcated holding period should allow the animal to be transferred to the rescue group immediately upon impound, with the same rights of reclamation for the “owner” as if the animal was still in the shelter. This frees up scarce kennel space, without giving pounds a “quick kill” provision. And it shifts the cost of care from taxpayer to private philanthropy. In other words, the animals would remain in the “constructive” custody of the pound while being held in a foster home, private shelter, or rescue group during the reclaim portion of the state mandated holding period; but taxpayers would incur none of the cost. A state mandated, bifurcated holding period which requires animals to be made available for reclaim, adoption, and transfer, will help increase reclaims, rescues, and adoptions. Combined with a very narrow exception for irremediably suffering animals, it will accomplish your goals. It would save lives and it would save money—a “win” for taxpayers and a “win” for the animals. In other words, it would solve problems rather than just create new ones. If I can help in any way, please do not hesitate to contact me.